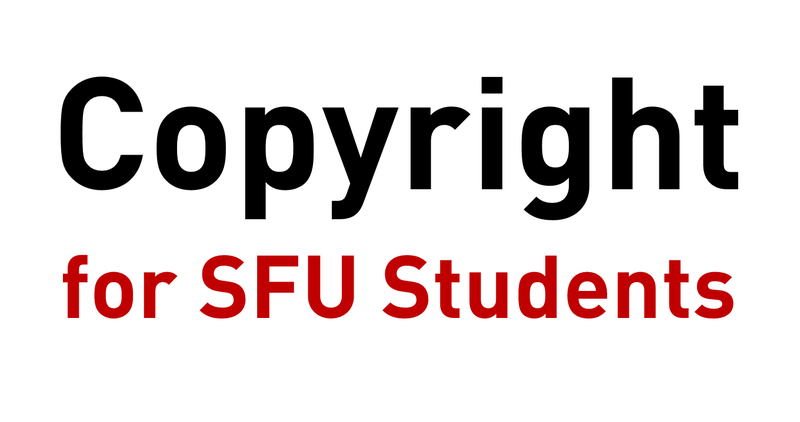 Copyright for SFU Students tutorial available. Try it out. explains students' rights as owners of copyright in their papers and other works, and limits on what students can do with instructors' teaching materials. Instructors - this tutorial is available for importing into any course from the Canvas Commons. In the Canvas Commons, search for the tutorial by title (Copyright for SFU Students) and follow the instructions to import it. The tutorial is also publicly available! Try it. Please direct any questions or feedback about this tutorial to the Copyright Office.